Familien fluetrompetfamilien hører til i ordenen , Ericales. 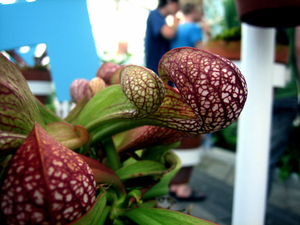 "Conservatory of flowers 7.5.07 - 75" by Laura padgett via Flickr, Creative Commons Attribution-NoDerivs. 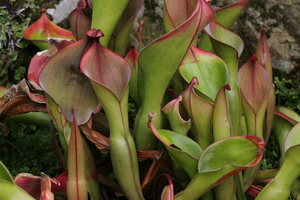 "Heliamphora nutans (a pitcher plant from Venezuela) at Kew Gardens" by Derek Keats via Flickr, Creative Commons Attribution ShareAlike. 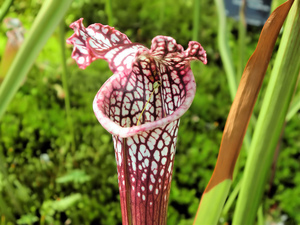 "Sarracenia flava" by Trebol-a via Flickr, Creative Commons Attribution ShareAlike. 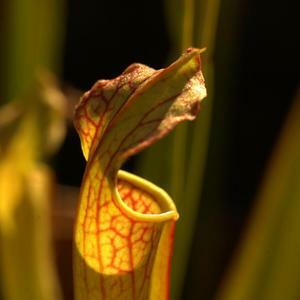 "Sarracenia Leucophylla" by Keith Roper via Flickr, Creative Commons Attribution.